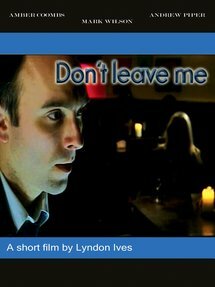 A psychological Drama with a twist, 'Don't Leave Me' is a short film set in contemporary London. The story revolves around Rose, whose self-enforced role, clashes with her sub-conscious and inner desires, Personified, by the anonymous, blonde woman. Tackling the issue of whether humans are suited to domestication, or meant to follow their animal instincts and behavioral patterns. Convinced that her partner is cheating on her, Rose finally uncovers what she's really looking for.